In the past week, on three separate occasions, I've overheard someone ask, “How do I answer that interview question about what my passions are if I don't even know what I'm passionate about?” And so, here, I'd like to offer a few thoughts on what appears to be a common issue when it comes to interviewing. WHY DO INTERVIEWERS ASK ABOUT YOUR PASSIONS? First, I think it's important to back up for a minute and ask why interviewers often pose this question to job candidates. The way I see it, there are three possible reasons. One, your interviewers want to get to know you better. They want to get beyond your resume. They want to see what you really care about, which might tell them if they'd like to work with you, if others at their company would like to work with you. It's a sort of 'Do you fit the company culture?' test to see if you're compatible with others at the company. Two, your interviewers want to find out if you're a hardworking person. Yes, through the passion question, it can be determined if you're a committed follow-through type of person. Note, this passion question is never about the passion itself. Rather, it's about what you do with that passion: where you take it, how you incorporate it into your life (and how it might apply to the job you’re interviewing for). So, you will be fielding follow-up questions (more on that later). And through this question, an interviewer can get a good sense of how you follow through on things you believe in. Three, your interviewers want to try to understand the depth of your thought process. Another way to put it, more simply, is they want to find out how deep you are. Are you passionate about weighty things or simplistic things? This doesn't mean you need to be passionate about existential philosophy, but it's important to show to your interviewers that you're a serious person and have the ability to problem solve and think deeply, thoroughly, and broadly. WHAT IS AND WHAT ISN'T A PASSION? 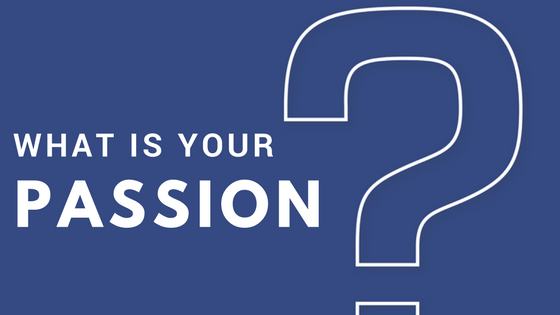 With all that in mind, and before we get to what a good answer to the passion question might look like, I think it's also important to talk a little about the word "passion." 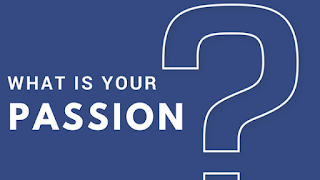 In my opinion, "passion" is an overused and often misunderstood word, which is partly why people have such a problem answering the passion question, and why they believe they might not have any passions. To get at what a passion is, maybe it's easier to begin with what a passion doesn't necessarily have to be. To me, it doesn't have to be your life's work. It doesn't have to be the one thing you hold higher in importance than all others in your life. It doesn't have to be the one true love of your life. It doesn't have to be something incredibly weighty. And it doesn't have to be something that you do every day. As for what a passion could be, it could be something you like to do very much but don't get to partake in all that much. It could be something you do in your free time. It could be a so-called hobby and not related to your career. And it could be something abstract. For example, it could be competition, solving problems, storytelling, learning, or standing up for the oppressed. CHOOSING A "PASSION" TO TALK ABOUT IN YOUR INTERVIEWS. Now that you have an idea what interviewers are trying to determine when asking about your passions, and what a passion is and isn't, it's time to decide on a passion to give your interviewer. As mentioned above, you should be prepared to talk at length about your passion since there will likely be follow-up questions about your passion. And so, as a first step, make sure your "passion" is something you feel comfortable with talking about for a long time. Which is to say, make sure it's something you know quite a bit about, could hold a conversation about for several minutes to an hour, and make sure it's something that excites you (you definitely don't want to come across as not all that excited about something that you say you like a fair amount). Next, make sure it's something that'll get across a quality of yours that you'd like your interviewer to know about and that will help your job candidacy. This should go without saying, but never forget that the intention behind everything you say and do in an interview is to get the job (or at least, get to the next round of interviews). You want to highlight why you'd be a good fit for the job and excel at the job. And the passion question is a perfect place to help differentiate yourself from other candidates. Finally, make sure you answer honestly. This should also go without saying, but there is a tendency (an understandable one) to give your interviewers answers you think you should give them as opposed to answers that are honest. WHAT A GOOD ANSWER MIGHT LOOK LIKE. Above I used "competition" as a possible "abstract " passion. It's my sense that a lot of job candidates (especially younger ones like recent college grads and recent grad-school grads) that receive interviews with top companies are, to a great extent, passionate about competition. And they might not even realize it. At least, they might not think of competition as a passion. But I believe it could be a perfect answer to this passion question—especially for those who struggle to determine what they’re passionate about—in part because a competitive spirit is a (written or unwritten) requirement for most professional jobs out there. For example, you likely can't become a highly successful student or athlete (or employee) without loving to compete. You might think the obvious way to use a competitive passion is to compete against the competition, but I think what makes successful students and athletes truly successful is they love to compete against themselves. They love to compete to see not only if they can score or perform higher or better than others, but also, and perhaps more importantly, if they can score higher and perform better than they themselves had done previously, if they can push themselves to be better, faster, stronger, more productive, etc. This is also true in other pursuits. Even artistic ones. Ernest Hemingway, for one, didn't just want to write good prose; he went on record as saying he wanted to be the best writer to ever live. And so, it was his competitive nature that helped push him to be better, not necessarily his love of literature (though that probably didn't hurt, either). So, let's say that you, on further thought, find that competing is indeed one of your passions, and so you decide to use competition as your answer. Your interviewer will then likely ask you to tell about how this fits into your life. You could, in response, talk about past experiences in which you competed (academically, athletically, on the job—where you wanted to perform better as an individual and/or as part of a team). You could also talk about how it fits into other hobbies of yours, how you always try to make something a little bit better than you did before (say, if you often cook) or do better than you did before (say, if you run marathons). This will underscore that you strive to do excellent work (while showing you have other interests) and that you are committed to outdoing yourself, that you continually want to improve upon work you did previously. Which is certainly a good quality for any employee at any company. And then, if you're asked why you're passionate about competing, your answer might include that you take great joy and satisfaction in trying to outdo yourself, in trying to see how far you can go, how well you can perform (again, in an individual setting, team setting, or both). Maybe it's also exciting to see that you're able to go further than you thought, to see that your mind likes to tell you you can't possibly do better but through perseverance you're often proven otherwise. Of course, this is just one of numerous possible passions that could be used. It’s up to you to search yourself and your own life and experiences to find your specific passions. And then it’s up to you to determine which of these so-called passions is the best fit for the job you're interviewing for.